Ontario pizzeria owner Michael Faheem charges his delivery car at public charging stations at the city’s new public charging stations. Ontario Mayor Paul Leon demonstrates one of the new charging stations at Citizens Business Bank arena. Electric vehicle drivers can charge while doing business at Ontario City Hall thanks to SCE’s Charge Ready program. Visitors to Ontario Convention Center can now charge their EVs thanks to SCE’s Charge Ready program. The city of Ontario has made it easier for electric vehicle drivers to charge at city venues. If there’s one city that’s prepared for National Drive Electric Week, a nationwide celebration to heighten the awareness of electric vehicles that began on Saturday, it’s the city of Ontario. Electric vehicle drivers in the city are now able to charge up while they attend concerts or sports events at Citizens Business Bank Arena. The same is true for those who park at the Ontario Convention Center, city hall, the library, the community center or the golf course. Ontario Mayor Paul Leon says Charge Ready, a program available from Southern California Edison, helped make this possible. SCE is offering a $450 reward to customers who drive new, used and leased all-electric or plug-in hybrid vehicles. 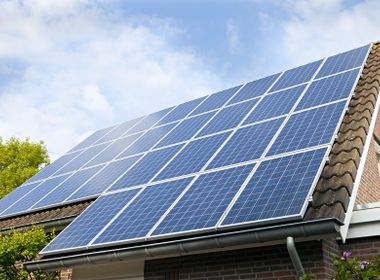 To find out if you are eligible for a rebate, visit SCE’s Clean Fuel Rewards Program website. “The Charge Ready program has helped us increase charging opportunities in Ontario at a significant savings to the community,” he said. “Making it easier for our citizens to access recharging stations at those points where they’re going to be stopping and staying for a little while makes a better planet,” the mayor added, noting that transportation accounts for much of California’s greenhouse gas emissions and air pollution. The Charge Ready pilot program works with cities, universities, hospitals and businesses to install electric car charging stations where people leave their cars for the day — making charging more convenient for residents, employees and business owners like Michael Faheem, owner of Yeast N’ Flour Pizzeria. 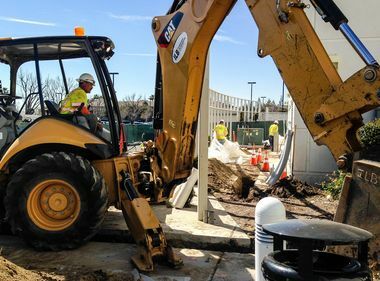 During the pilot phase of the program, SCE is providing infrastructure for hundreds of electric vehicle charging stations in its service area, as well as rebates to help participants pay for the charging stations themselves. At the conclusion of the pilot, SCE hopes to get approval from the state to expand the program to boost the number of charging stations into the thousands. SCE Program Manager Megan Mao, who oversees the Charge Ready program, says everyone benefits from more electric vehicles. The goal of the program is to accelerate the adoption of electric vehicles. And many of the charging stations are being installed in communities that suffer most from the effects of air pollution. 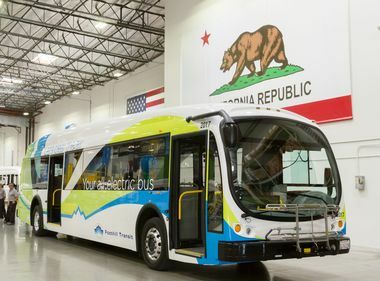 “Without electrifying transportation, we’re not going to be able to reach California’s goal to reduce carbon emissions to 40 percent below 1990 levels by the year 2030,” said Mao.